Ogun State Governor, Senator Ibikunle Amosun, has assured that academic activities in the Ogun State Polytechnic, Ipokia, will formally take off in May. He disclosed that no fewer than 3,000 applicants would be admitted as pioneer students of the institution, following the completion of all admission procedures. 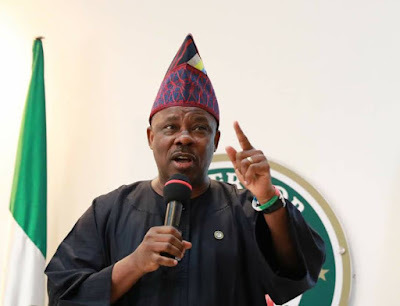 In company of his cabinet members and permanent secretaries, Governor Amosun said that the polytechnic is one of the 20 legacy projects that President Muhammadu Buhari will commission before handover of his government in the state. He noted that the commencement of activities in the institution would bring development to the area, while urging the people of the community to be accommodating to students and staff. He also revealed that “as soon as Ogun State Polytechnic, Ipokia, commences operation, Moshood Abiola University of Science and Technology (MAUSTECH) will also come on stream,” adding that the master plan for the take-off of the university is already in place. The Rector of the polytechnic, Dr. Samson Adeola Odedina, while speaking with newsmen, said it is situated on a virgin land and he is elated that the people of the community are ready to receive them. He also said the management of the institution is fully ready for the May commencement of academic activities.